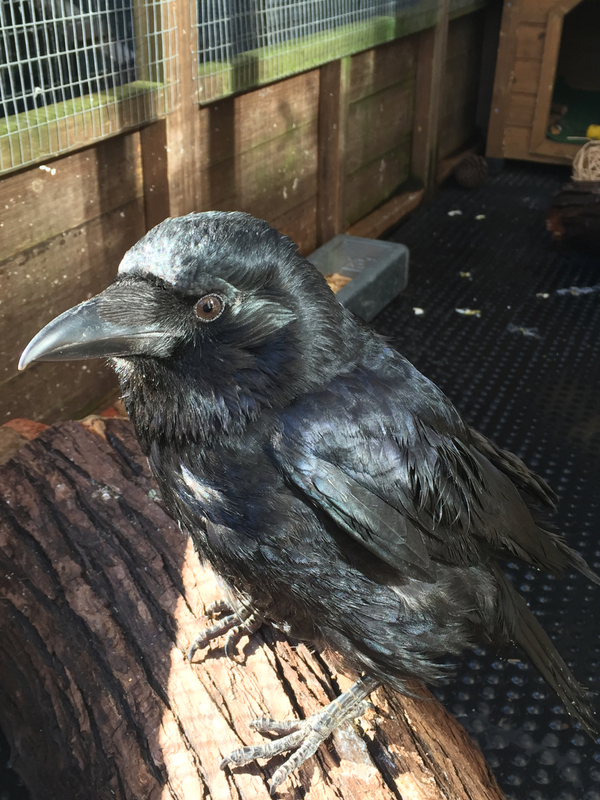 Pan Tau, a juvenile carrion crow, came to us for rehabilitation via a veterinary surgery, where the kind finder, who rescued and cared for the bird for more than a week, has brought Pan Tau to seek professional help. The veterinary surgeon actually already suggested to put Pan Tau to sleep, but the finder insisted to give him another chance. This is where we got involved and agreed to take over the care of Pan Tau. Pan Tau has been found unconsciously on the road after being hit by a car. 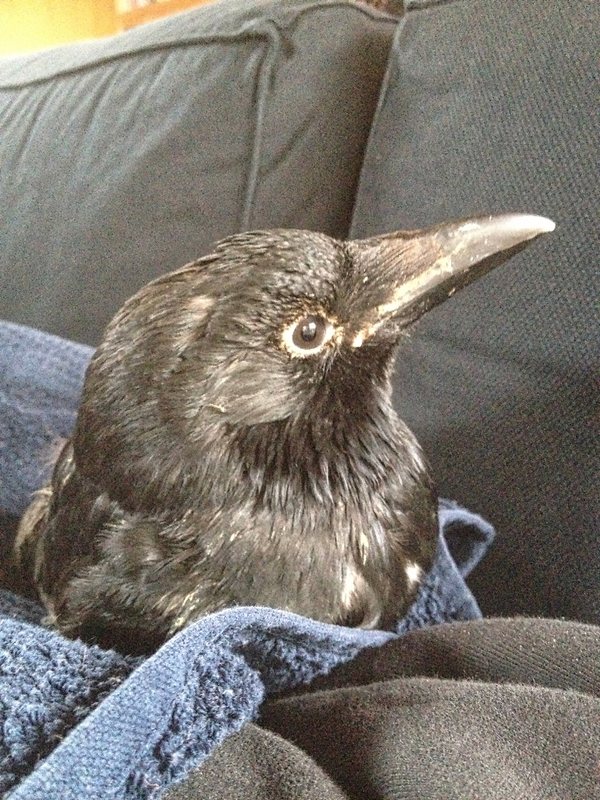 He suffered a severe spinal injury, which resulted in a paralysis of wings and legs. Luckily, Pan Tau didn’t suffer fractures or other internal injuries. However, the spinal injury or spinal contusion resulted in his inability to stand, sit, walk or fly. We treated him accordingly and never stopped being amazed and encouraged by his trust and determination. Although there was no breakthrough after a fortnight, Pan Tau did show some subtle improvements though, which persuaded us to continue with treatment including an intensified form of physiotherapy. About four weeks after the accident his balance problems started to improve and he was able to sit by himself on his hock joints. The spasms in his feet also started to resolve. Another four weeks later he was able to stand and started to walk and even perched the first time, still having coordination and balance problems. 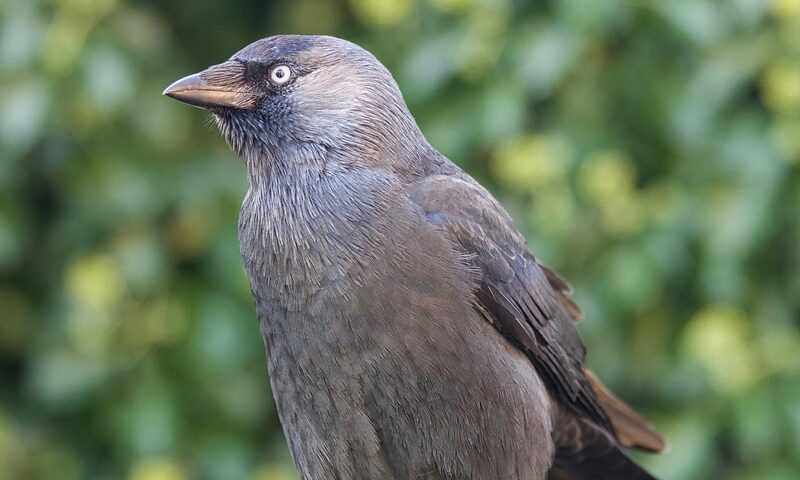 After about three months of intensive care and rehabilitation Pan Tau could be moved into an outdoor aviary, where he enjoyed the new freedom, independence and interaction. Pan Tau will not be releasable, as he has got still some neurological, mainly balance issues and his flying skills are not good enough. 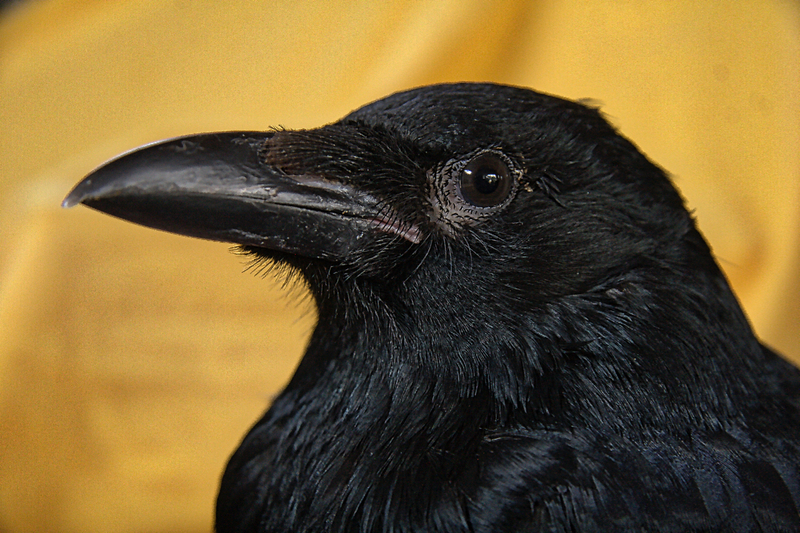 He is meanwhile a fully integrated, well accepted and indepedent member of our residential crow family. The recovery of Pan Tau, despite all odds and scientific predictions, is an amazing story in itself. We remain fascinated by his personality, his determination and his ever surprising ways to show us how much he is enjoying life, which is his way to say thank you for being giving this chance.